MOSCOW, January 11. /TASS/. 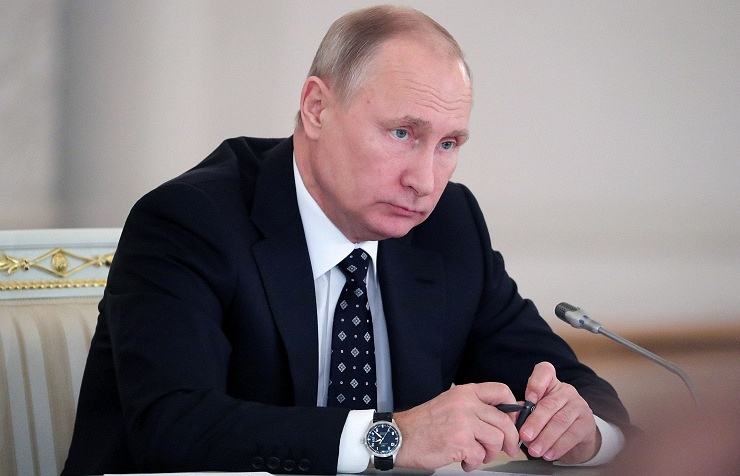 The UAV attack on the Russian base in Syria was a provocation aimed at destroying previous agreements, Russian President Vladimir Putin said at a meeting with heads of the country’s printed media and news agencies. "There were some provocateurs, but they were not Turks. We know who they are, who paid who for this provocation and what the actual sum was. As for this kind of incidents, there is nothing good about them. These are provocations aimed at destroying previous agreements," Putin said. He added that those actions were also aimed at undermining Russia’s relations with Turkey and Iran. "We understand it perfectly well so we will work together," the Russian leader stressed. The unmanned aerial vehicles used in the attack on the Russian base in Syria were only disguised as homemade but were actually furnished with high-tech equipment, according to Putin. "As for these attacks, they were undoubtedly prepared well. We know when and where these unmanned vehicles were handed over [to the attackers], and how many of them there were. These aerial vehicles were disguised - I would like to stress that - as homemade. But it is obvious that some high-tech equipment was used," Putin said. The Russian Defense Ministry said earlier that on January 6, the Russian military facilities in Hmeymim and Tartus were attacked by unmanned aerial vehicles controlled by terrorists. The Russian military either destroyed or took control of the UAVs used in the attack.